I. Jalea, the engraver's name. 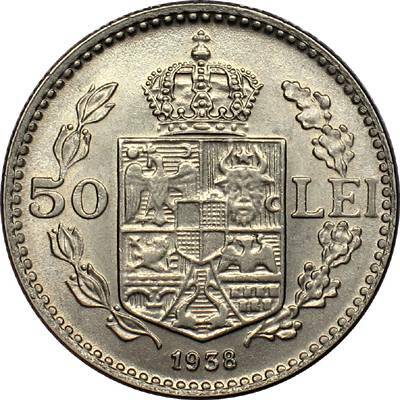 The nickel coins of 100 lei minted in 1936 and 1938 (shown on the next page) and those of 50 lei of 1937 and 1938 were drawn out of circulation once WW2 started. 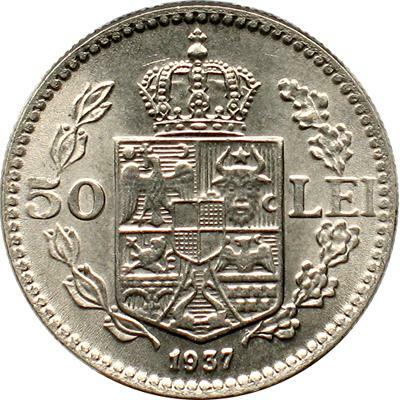 The coins struck during the war were made of zinc (2, 5 and 20 lei) or nickel plated iron (100 lei), solutions cheaper than nickel itself and also less necessary to the armament industry. 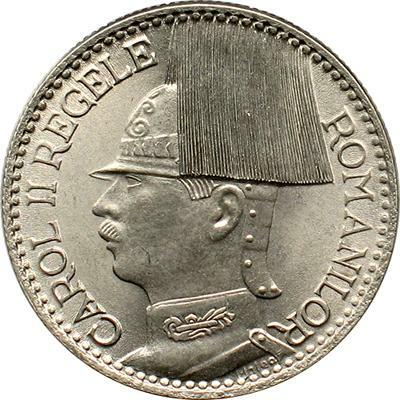 Accordingly to Schäffer - Stambuliu catalog from 2009, the alloy of these coins contain 1.5% cobalt. 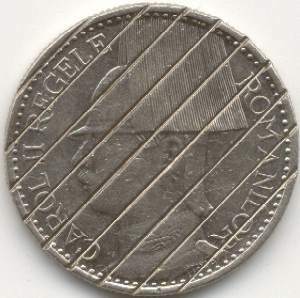 The pieces pulled out were demonetized, that is stamped inside a pattern that impressed both on the obverse and reverse paralel lines and concentric circles (varying from case to case). This step forewent destruction and was meant to hinder fraudulent reintroduction of the coins back again on the market by the operators that were assigned to retrieve the precious metal. 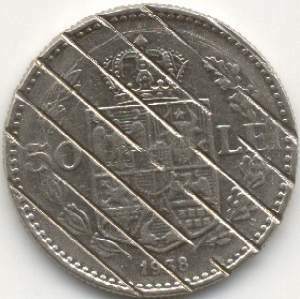 Below there is such a marked coin (for melting) that somehow escaped destruction. 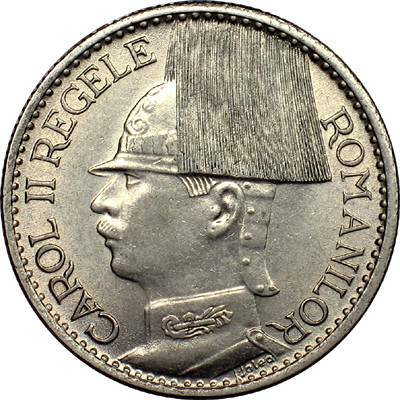 The pictures below were made available to Romanian coins by Mr Cătălin Gavrilă.